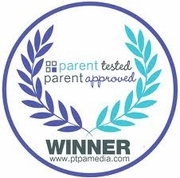 PTPA means parent tested, parent approved. It’s a community of parents across North America sharing valuable feedback about the products they bring into their homes and to their families. I See Me! is honored to have the PTPA seal on all of our personalized storybooks.